DC Dana: Whichever Way's The Fastest "
"The moment you shut the cab door, you can be who you want to be...If you spend your day making decisions, you can stop, releasing yourself with those magic words: Whichever way's the fastest. Repeat it again when your driver attempts to brainstorm with you. He could tell you that the West Side Highway is closed and he'll need to swing around the moon first. Really. Whichever way." I do this a lot in cabs myself. Actually, I've even said "whichever way is the cheapest" before, which brought unsettling laughter from my driver. (In DC, the cabs try to go the longest way sometimes just to get more money out of you. Which is one of the 78 reasons why I'm now a complete convert to Uber. Take that, DC cab mafia! You and your credit card machines that are "always broken"!) But I digress. No decisions. Giving yourself over to the situation. It's so nice and exhilarating sometimes. I (unsuccessfully) tried to make my boss believe this concept the other day as we were discussing Food Trucks. He said he wanted to like them but was worried about how safe they are. I disagreed. You have to give yourself over to the experience, boss! You gotta YOLO it. 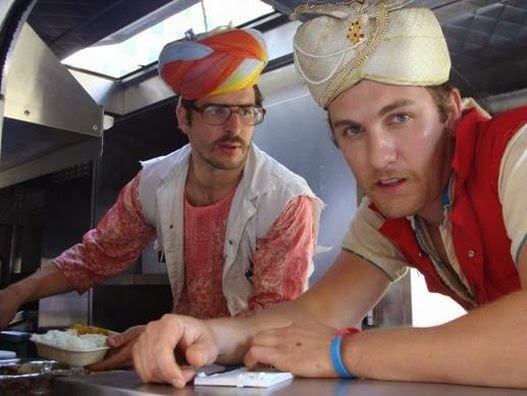 Sure, you could worry about potential explosive diarrhea, but then you'd miss out on delicious food trucks! 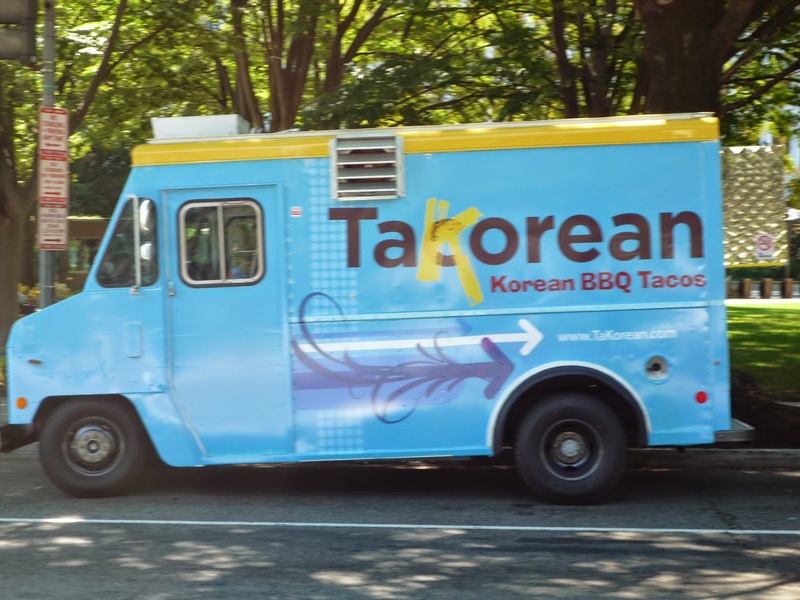 Who doesn't want to walk up to a strange vehicle and order whatever a Korean taco is? (My friend knows one of them and yes, he is Albright's nephew. Although apparently they have closed their trucks, sadly). See? Sometimes you just embrace risk and stuff your face in a meal served out of a car window. It's how you know you're alive, man. I am going to Nepal. Not because I've always dreamed about going there (I haven't), not because I've heard great things about it (I haven't), but why? Because Kim, who was in my Semester in DC program thirteen years ago, randomly messaged me on Facebook and told me she now lives in Nepal and I was welcome to stay with her if I ever wanted to visit. That was it. That was all it took for me. Facebook had chosen for me, and all I had to do was give myself over to the ride. Just tell me when to get out of the plane and point me in the right direction. Then found out she's not doing it this year. Ok, well Mt. Everest is there, right? Maybe we can hike on that for a bit? We can't. It'd take entirely too long to get there and get acclimated. Ooookaaay. Well there's Kathmandu - a place I had only heard of because of a bad Milla Jovovich movie in the 80's... -is there enough I'd want to do there to spend several days in one place? So I asked Kim. She mentioned trekking in the Himalayas. So in the end, I'm approaching this trip like I approach cab rides. If Kim asks me which way I want to start trekking, I'll YOLO it, hand over the reigns, and tell her whichever way she thinks would be best. I'm a 30-something female, living in D.C. I have random adventures in work, travel, dating, and fitness challenges. I like to blog about it all. It makes my friends feel more stable by comparison. DC Dating: Back to Gut Instincts. Again.